One of the subjects we are in charge of is health. I have no set lesson plans that we use. We use library books, doctor appointments, and programs he watches such as Nickjr shows. I found these books through our local library. 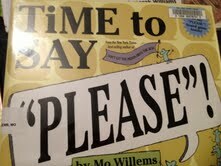 This book addresses the issue of demands and when to say please. It also addresses several other manners. 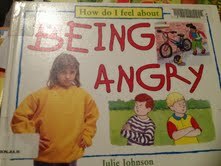 Being Angry is a good book. 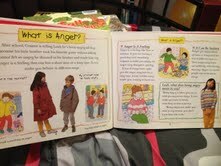 It explains what anger is, situations that make us angry, and how to deal with it in an appropriate manner. This was helpful in showing Devin ways he was expressing his anger and why he would get in trouble for these outburst. 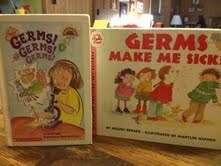 Of course, germs is almost a go-to topic when it comes to health. This was covered last year, but it never hurts to go over this subject again. We learned what a good song to sing while washing our hands (looked on google then on youtube), we used some charts on hand washing from the internet, and discussed ways to avoid spreading germs. He enjoyed this one. 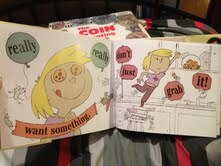 The library is a treasure trove of books you can use. Get inspiration from your life and then go from there. Devin wears glasses so we read D. W. Get Glasses (Arthur from PBS), checked out some books on wearing glasses, and discussed why the eye doctor does the things he does during our check-ups. Devin has a lot of dentist visits for some problems he has, so we used that to learn about brushing our teeth, food that is good or not good for our teeth, and since we use a colored mouthwash from his dentist he used that as a lab. We printed out a color page showing the teeth in his mouth, brushed his teeth, swished with the mouthwash, then colored the same teeth on his paper as were the color in his mouth. Then he predicted and wrote down what teeth he thought would come out clean once he brushed them again. Then we crossed out the clean teeth on his paper. That lead to talking about what he could do different to make sure his teeth came out not colored after brushing the first time. It can seem intimidating to do health on your own but take a few minutes and list out some things you would like your child to know or that might need some touching on. Search online, on youtube, at the library and you will be amazed what you can find. We did nutrition using a PBS kids program that was online only and gave recipes he could actually make with me such as a kids pizza and a smoothie.